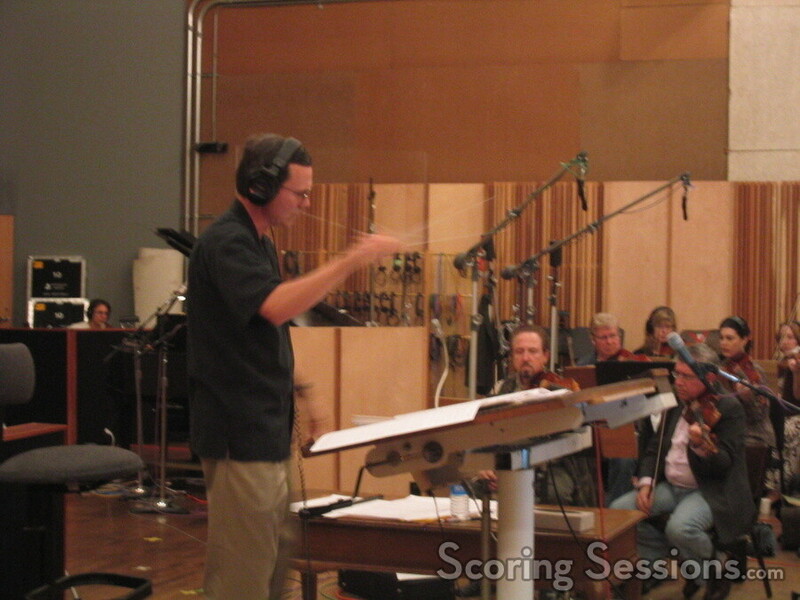 This week the hit "uncancelled" animated television show "The Family Guy" (created by Seth McFarlane) entered the scoring stage at Fox to record music for the season premiere, airing on Sunday May 1, 2005. Composer Walter Murphy returns (as well as Ron Jones) to score the hilarious antics of the Griffin family. In the premiere, entitled "North by North Quahog", the jokes come fast and furious, and Murphy even gets a great opportunity to channel some Bernard Herrmann. 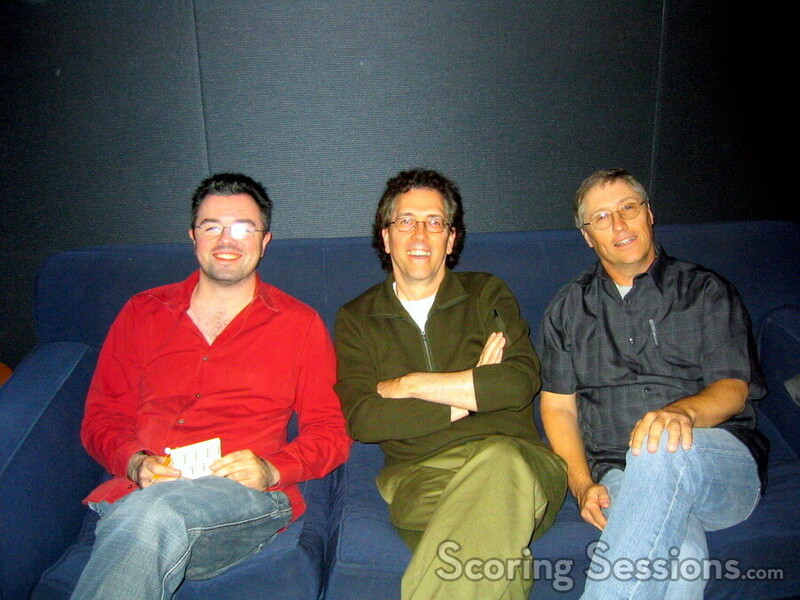 Composer Ron Jones was also present, as he was piggybacking the scoring session to record music for an upcoming theatrical trailer for "American Dad", McFarlane’s other animated show. Look for the trailer to air attached to a Fox movie later this spring. The amount of players in the orchestra has been beefed up from previous seasons; this time they have about 40-45 players depending on the episode – even though McFarlane indicates that their budget is smaller! But that certainly won’t stop Murphy and Jones from writing some great music, and more potentially award-winning songs. "Family Guy" and "American Dad" both premiere on May 1, on Fox.